Tim Juran is executive vice president of Seadrill Americas. 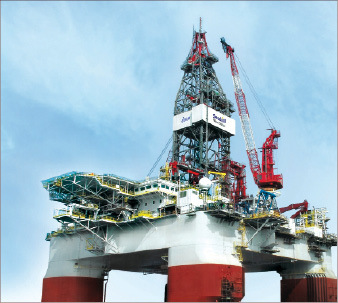 DC: Seadrill has delivered eight modern, highly sophisticated deepwater newbuilds in the last 15-18 months. What are the key challenges you’ve faced in doing that? Juran: We’ve seen significant challenges in trying to integrate and making sure that the software control systems are fully matured and operate reliably. It’s an ongoing challenge that’s getting better with time, and we’re certainly going to confront that challenge going forward. Additionally, as with most computer-based systems, these things become obsolete pretty quickly. What is the shelf life of the latest release of Windows? Probably just a couple of years, until the next release comes out. Considering that your control systems reside on that operating system, you have to think about what’s going to happen in three or five or 10 years if you’re trying to keep up with the latest technologies and make sure that control systems are kept current. 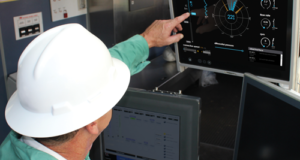 The West Sirius, the first of the eight deepwater deliveries for Seadrill, experienced challenges with equipment and software technologies early on. 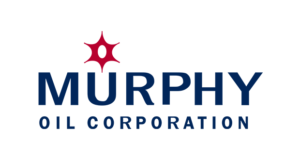 “We overcame those pretty quickly, and we’ve had a steadily improving performance in the last year,” said executive vice president Tim Juran. 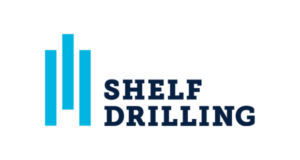 DC: Compared with the fifth-generation rigs, in this cycle it appears that most of the drilling equipment are being sold as whole packages directly to the shipyards. Is that helping at all with the integration aspect? Juran: It’s better than back in the late ’90s, but it’s still a significant challenge. 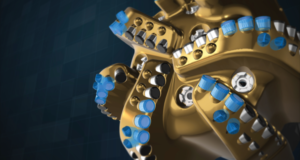 If you look at a deepwater drillship, for example, you’ve got the power generation equipment, power distribution, dynamic positioning, marine systems – it’s not limited to the drilling package. 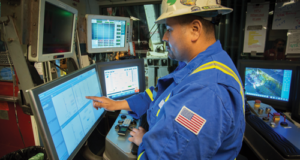 Collectively, you might end up with a dozen different vendors on the ship, each with individual software that somehow has to be integrated with the master control of the drilling unit. 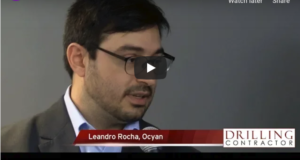 DC: Are simulation tools and equipment helping with that? Juran: Simulation helps to a degree. But, to me, that’s more of a training and development tool for people. A number of simulation packages I’ve seen simulate how the system operates, but they don’t simulate modes of failure. If you put a pilot into a flight simulator, you can have him fly the jet. Then you fail systems on him – “You just lost two engines, what are you going to do?” The pilot would be required to react to that. I think our simulation capabilities in this industry are nowhere near as sophisticated. We’re still basically teaching somebody how to drive it, but we don’t do a very good job of teaching him how to respond to unexpected situations, breakdowns, etc. DC: How is the deepwater market doing in the face of the severe market crash in late 2008 and 2009? Juran: There’s been a pause in the market, though it hasn’t gotten as bad as the jackup or land environment. And now the market is showing signs of improvement. 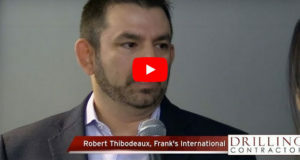 In the current environment, the challenge is that operators still have some excess capacity they’ve contracted, and that’s creating a secondary market. We’re essentially competing against some of that. Then there’s Petrobras looking for significant incremental capacity in the future, but at the same time requiring that a big part of that capacity is primarily built within Brazil. 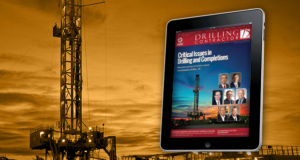 It’s not clear to international drillers how they can play effectively in that space. Can they effectively compete? Can they effectively manage risk in that environment? And under what time line will all this unfold? I believe the general deepwater market is going through a hiatus period, but within the next year or two we’ll see it pick back up again. We have a lot of deliveries for 2011 and 2012 that are currently not contracted. I think that capacity will be absorbed. Then the question is, will there be continued building? Or is it over for the time being? DC: Have you seen any signs that people are ready to build more deepwater rigs? Juran: Not really. I think a lot of people are closely watching the developments in Brazil. But there is still a significant overhang of deepwater capacity to be delivered in 2011 and 2012 that does not have contract visibility right now. Until that capacity gets mopped up, it’s hard to see how people are going to order more rigs. DC: West Africa, Gulf of Mexico and Brazil remain the deepwater golden triangle. Are you seeing measurable deepwater growth outside of these areas? Juran: The golden triangle is probably where 90% of capacity is and will be for the foreseeable future. To some degree, there’s some deepwater growth in India, Australia, Malaysia and Indonesia. You might see a rig requirement in the Philippines or a couple of rigs in China. As additional discoveries get made, there will be incremental capacity requirements, though not on the same scale as the US Gulf. The West Eminence is operating for Petrobras offshore Brazil. The operator’s announcement that it wants to build 28 new deepwater rigs has put a level of uncertainty in the deepwater rig market. DC: The high cost of exploring for hydrocarbons in deepwater coupled with difficult access to capital – do you think this could put a damper on the number of deepwater projects being put forward? Juran: I think that’s the case. Access to capital is a big issue for operators. They don’t like uncertainty, and most of the large operators and even the smaller ones like to be able to fund these projects on existing cash flow. Things will pick back up though. 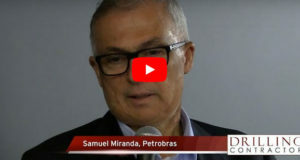 DC: You mentioned the rig-building announcement from Petrobras. 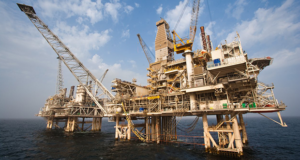 What kind of impact could that have on the overall supply and demand for deepwater units? Juran: You have to take the view that they’re building these rigs against a very known and specific demand for that capacity in Brazil. The presalt discoveries appear to be massive and will require significant increases in rig population of a specific type to exploit those reserves. To the extent that those rigs would be built specifically against those requirements, I don’t think that has the potential to create a significant overhang in worldwide deepwater capacity – at least not in the near term. We’re talking about adding 28 new rigs in the next five- to 10-year time line. What’s the worldwide picture in the meantime? What else will develop in terms of plays elsewhere in the world? There’s always the risk that you end up with too much capacity, but it’s pretty hard to see it as a significant risk in this go-round. DC: Where do deepwater dayrates stand? Is it up, down or flat? Juran: I would say it’s fairly stable. In the last six months to a year, there have been only a handful of new fixtures for deepwater rigs. For people who are looking at those numbers to tell them anything about the movement of rates, it’s difficult. If you have six fixtures in a week, which is what we were seeing a couple of years back, you can easily plot a trend. If you get six fixtures in six months or a year, it’s difficult to see a definitive trend. However, I do think it’s starting to show signs of life. We’ll see more fixtures in the next couple of quarters, then we’ll get a sense of what’s happening in terms of rates. Certainly I don’t see much of a downward bias. DC: The number of deepwater contracts signed in 2009 is low compared with the past few years, as you said. In which regions have you seen the most significant decreases in deepwater rig demand? Juran: We have to be careful there. To some extent, it’s not a decrease in demand. It is a reduction in increase in demand. Keep in mind a lot of these fixtures have been for newbuilds that have not been delivered yet. When many of these rigs were signed in 2007 or 2008, most of the rig deliveries being contracted for were 2009, 2010 or 2011 deliveries. They were contracted against new rigs, and certainly that part of the equation has flattened out. I think we’re in a bit of a flat spot here but with more of a bias toward it picking up again than going down. DC: The West Sirius semi began operations in mid-2008 for Devon Energy in the Gulf of Mexico. Do you have any other rigs set to come to the Gulf? Juran: At this juncture, no. We continue to participate in tendering activities. DC: How has the West Sirius been performing? Juran: Very well. That was the first of the eight deepwater deliveries we had. Early on we had some challenges with equipment and software technologies. We overcame those pretty quickly, and we’ve had a steadily improving performance in the last year. 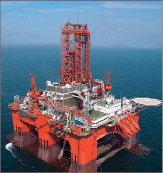 DC: What innovations in deepwater rig design or equipment are you seeing and putting on your units? Juran: Automation technology is getting better with each rig that’s delivered, though some of that I would characterize as just incremental. In the deepwater space, there’s a lot more interest in managed pressure drilling and dual gradient. Both contractors and oil companies are getting better at offline and simultaneous activities so we can better utilize rig capabilities. Are we seeing tremendous leaps and bounds in technology development? I would have to say no. I think there’s a pause in product development and innovation as a natural consequence of the cycle. I’m not saying it’s good, but that seems to be the way it works. When things start to become active again and as companies gain confidence, people will start focusing on the next technologies we need to adopt. 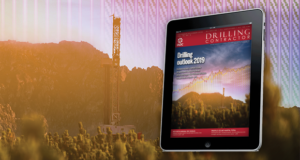 DC: What is Seadrill’s level of confidence in the market now? Juran: We’re a growth story at Seadrill. Three years ago we really didn’t have any deepwater capacity. Now we’re the second-biggest player in that segment. We’re very confident about where we’re positioned in the industry and confident to grow into the future. Most major contractors have had an opportunity to participate in this construction cycle, which means that they can deploy people on new assets and give the companies a sense of growth and progression for the future. From that perspective, I think most in the industry that I know are quite confident about where they’re at and what the future holds. 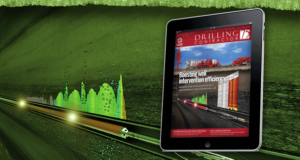 DC: What is Seadrill doing to make sure all your units are sufficiently crewed and personnel are competently trained? Juran: It’s a challenge, frankly. The number of newbuilds that have come out in the last cycle has put the industry under a lot of strain. The population of competent, experienced deepwater personnel has been limited. We’ve had to train and develop a lot of people on an accelerated basis. We try to formalize training with a competency framework that is vested in mentoring these guys offshore and making sure they meet all the requirements so they can complete their jobs effectively and efficiently. DC: Have you had to do any layoffs in this down cycle? Juran: None. In fact, we’ve been hiring quite aggressively because of our growth agenda and the fact that we’ve been delivering rigs consistently. In the last couple of years, we’ve probably added something on the order of 2,000 employees to this organization worldwide. It’s been a good growth story for us. DC: What challenges you the most as Seadrill America’s executive vice president in what you try to achieve everyday? Juran: One of my biggest challenges is figuring out how to keep these people safe. This industry has made a lot of efforts to improve safety since the days when I started in this industry back in 1980. We’ve gotten to the point now where good performance on a rig is the difference between having one significant incident in a year or having zero incidents. That tells you that measuring incident rates is probably not such a relevant measure anymore. Seadrill adopts a “nobody gets hurt” approach where we focus less on the statistics and more on how people are behaving. Are they behaving consistent with our values of having nobody get hurt? If your values are not consistent with ours, then you can’t work here. That’s one thing I work on a lot. The other thing is, we’ve had rapid growth in this company, and it’s been a fun ride. As we mature as a company, the question becomes, how do we establish and maintain a unique Seadrill culture that our clients can identify with, no matter where in the world we work? How do we ensure that culture is recognized as the preferred one? We’ve overcome the most difficult part of our growth spurt. 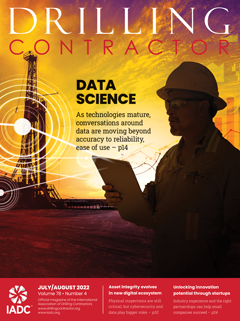 Now it’s a matter of getting really good at what we do and going to the top in the drilling contractor community.